The Barbican Estate, built on a 35 acre site between the mid 60’s and 70’s, is a fine example of British Brutalist Architecture with a wide range of exposed aggregate concrete finishes. Surrounding the three concrete residential tower blocks, maisonettes and mews are the Museum of London, The Barbican Arts Centre, Guildhall School of Music and Drama, City of London School for Girls and Barbican Library all set amongst lakes, elevated walkways and gardens. Due to the age of the structures and reports of a number of visible defects to the concrete, we were awarded the contract to survey the condition of the external concrete facades of the 3 tower blocks by abseil technique. These consisted of visual inspection, hammer testing, carbonation depth and cover meter survey, chloride analysis, half-cell and resistivity tests followed by presentation of an interpretive report and recommendations. Due to the risk of falling failed concrete, a scaffold protection platform and exclusion zones were provided at the base of each tower whilst the surveys were carried out. Whilst the extent of defects was being established from the survey and taking advantage of the protection already in place at ground level, we successfully negotiated the next phase of the concrete repair works, completing repairs to within 20mm of the final finish with a Remmers high build polymer modified repair mortar. In the meantime trials were carried out to establish a finishing material that would be both technically acceptable and also satisfy the requirements of English Heritage and Corporation of London’s Planning Department. 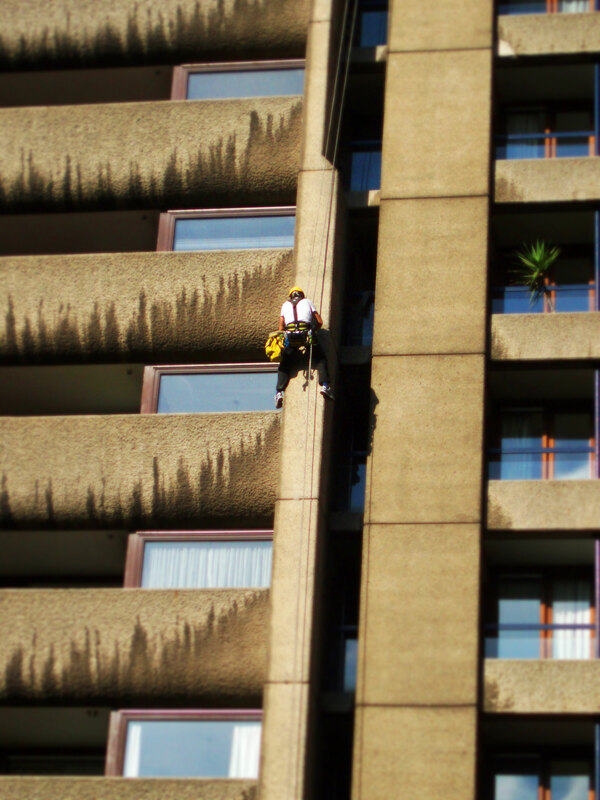 Upon agreement of the specification for the finishes of the repairs, consisting of a colour matched Remmers Restoration, the final phase of the repairs was carried out by abseil techniques and by working from the balconies. 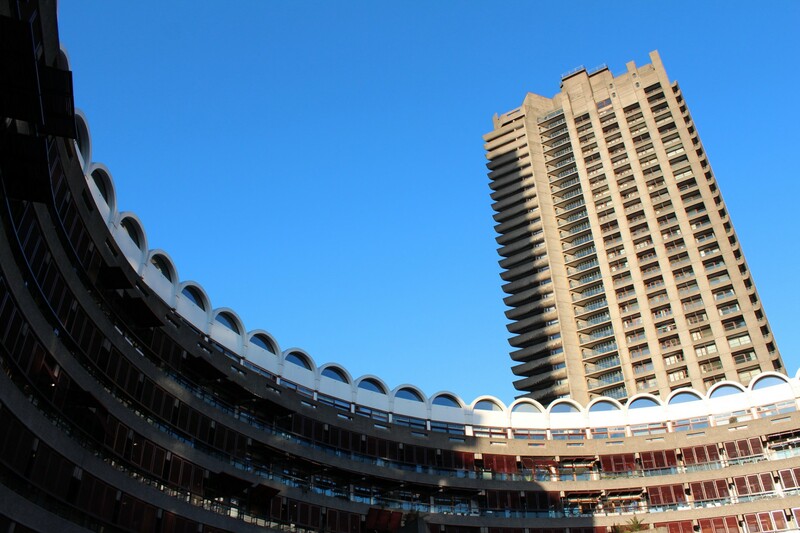 Following the success of the survey and repairs to the 3 tower blocks, we have been awarded a number of further condition survey and repair projects throughout the Barbican Estate.